In stock -This product will ship today if ordered within the next 8 hours and 6 minutes. 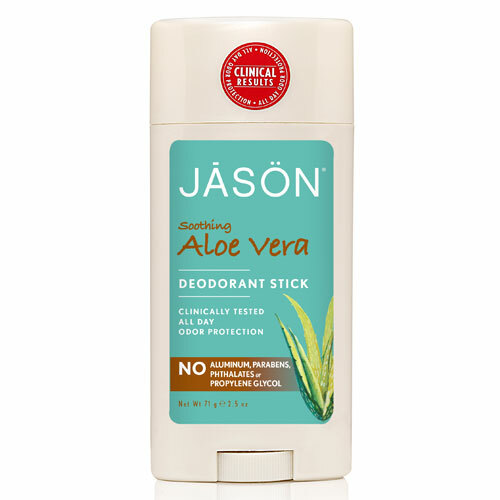 Jason Aloe Vera Stick effectively controls odour for all day protection. Naturally sourced zinc ricinoleate, corn starch and baking soda neutralise odour while grapefruit seed extract, known for its antimicrobial properties, helps fight odour-causing bacteria. Natural aloe vera and nourishing vitamin E soften and soothe your underarms. Below are reviews of Jason Soothing Aloe Vera Deodorant Stick - 71g by bodykind customers. If you have tried this product we'd love to hear what you think so please leave a review. 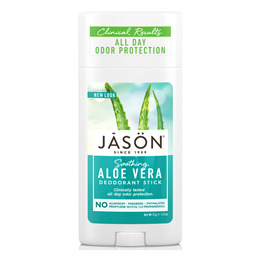 Jason Aloe Vera Stick effectively controls odour for all day protection.